In recent years, we have seen a growing interest in developing healthy and trim bodies, diets and lifestyles. To be frank, some of this is faddish, obsessive and self-centered, a futile attempt to frustrate the aging process and enjoy life before death claims us. But a healthy lifestyle is essential if we do it for the right reasons. Indeed, seeking a healthy lifestyle is essential to living a godly life, preaching the gospel and winning the lost. Pure and simple, a healthy lifestyle is treating our bodies as temples where God dwells and learning to think God’s thoughts after Him, so that our deeds proclaim God’s glory to others and that we might do what God planned for each of us before He created the world. To be sure, none of us has mastered this very well. Too often, we are troubled with stress, high blood pressure, weight problems, overwork, poor diet, little sleep and exercise, obsessive and compulsive thoughts, addictive behaviors and distracted devotion times. Many heart attacks, strokes and other physical problems come simply because we don’t take care of ourselves. All of this keeps us from the full and creative life God intended. 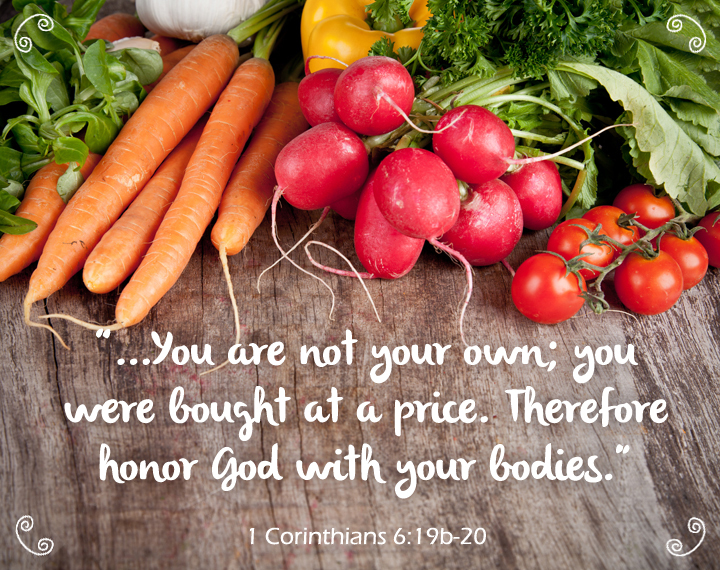 Too often, we get into unhealthy patterns of living because we act as if our body is ours when it is really the temple of the Holy Spirit (1 Corinthians 6:19-20). Many times, we live our lives with broken spirits and not with merry hearts. Too often, we live our lives for our own purposes rather than the Lord’s (Romans 14). To live healthier lifestyles, we may first need to better learn how to trust the Lord with all our hearts (Proverbs 3:5-6). We may have to learn to better listen to God and focus upon His will rather than our own. (Psalm 16:11). We may have to learn how to become teachable like little children throughout our lives (Psalm 32:8). We may still have to better understand how interested God is in the smallest details of our lives (Matthew 10:30). We may still need to discover God’s promises and trust them 100% (Psalm 1:1-3). We may yet have to learn how to live eternal life as a present reality (2 Corinthians 5:17). We may yet have to learn how to love His appearing (2 Timothy 4:8). That is truly healthy living. God help us all to learn these things well and live our lives to His glory and the advancement of His kingdom.